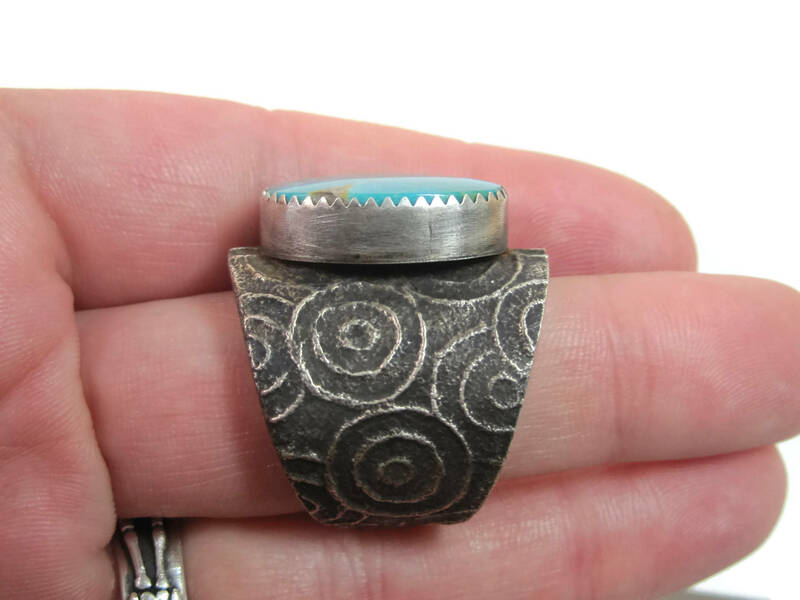 This gorgeous vintage ring is done in classic Tufa casting. 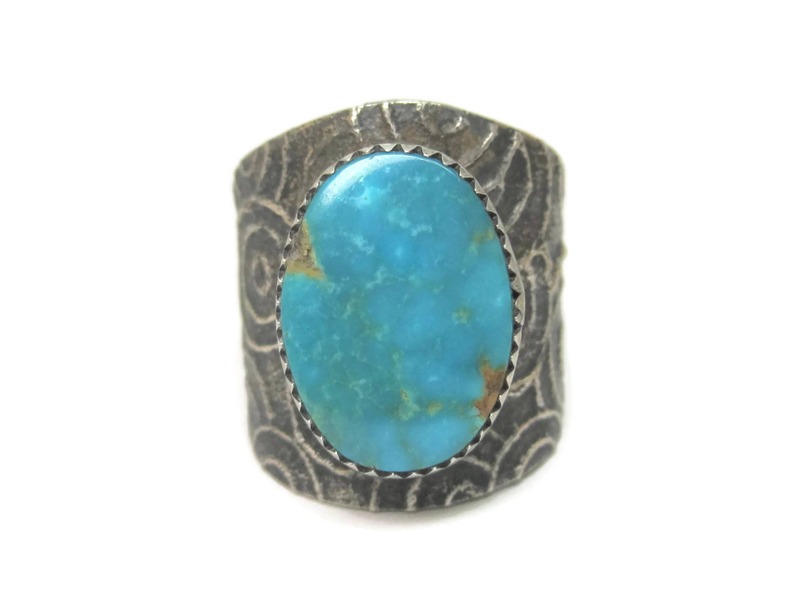 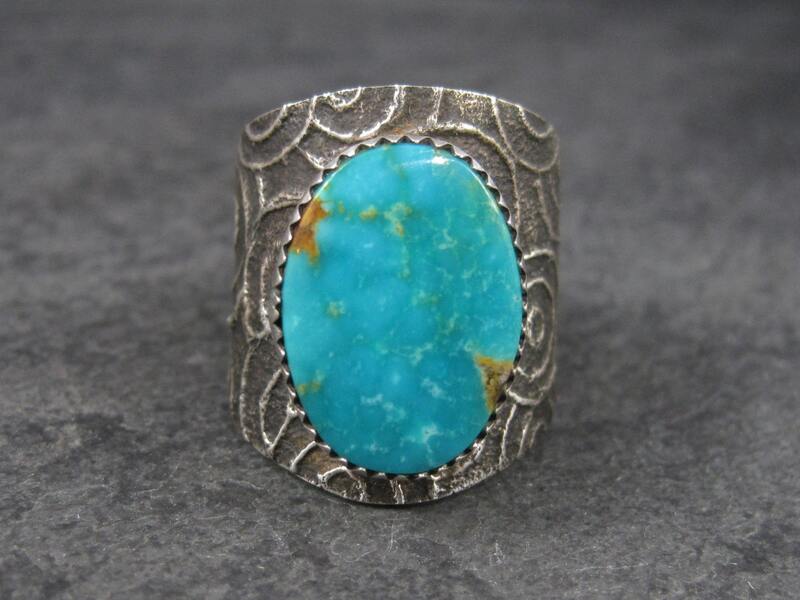 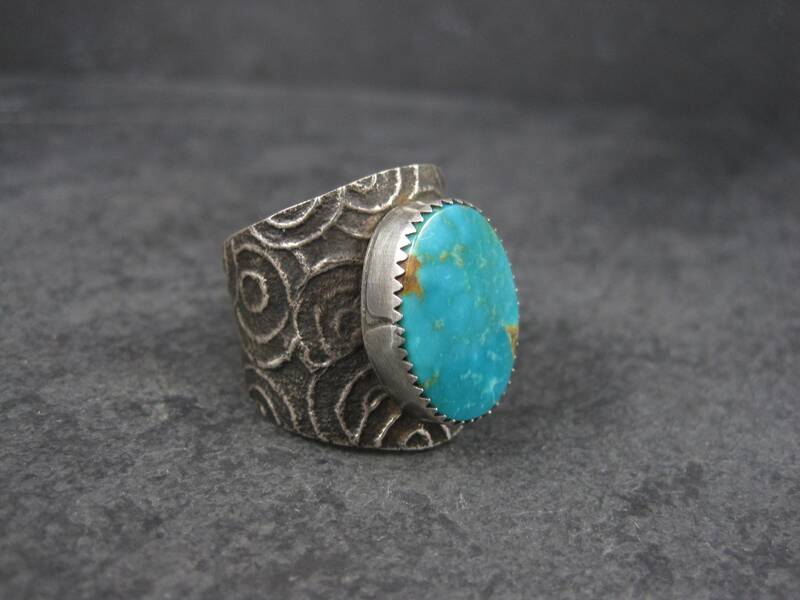 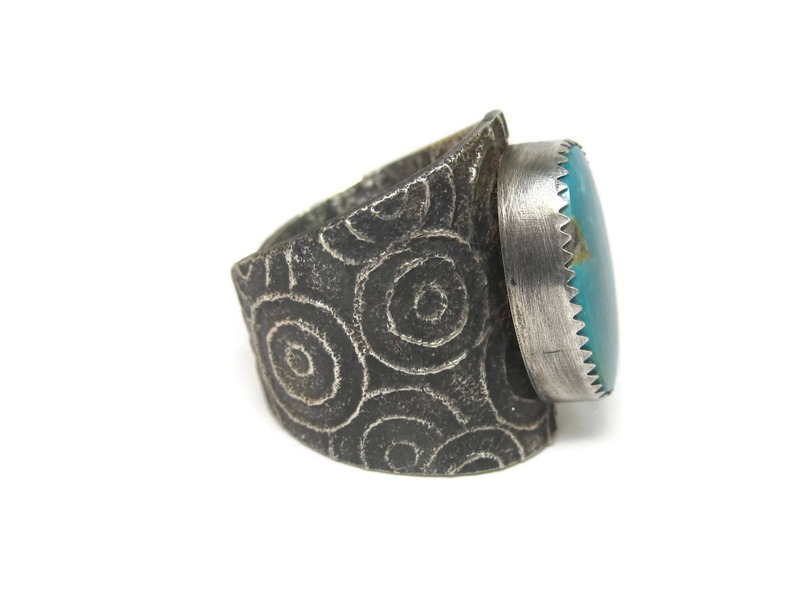 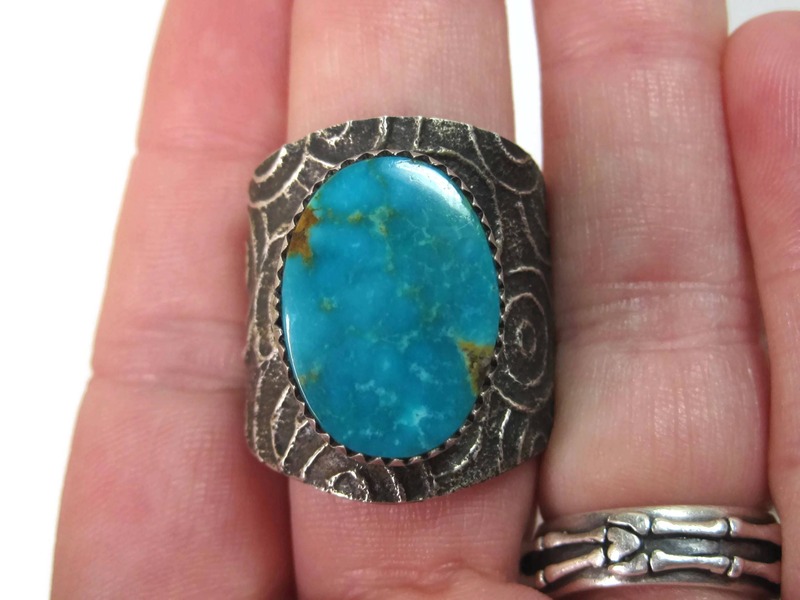 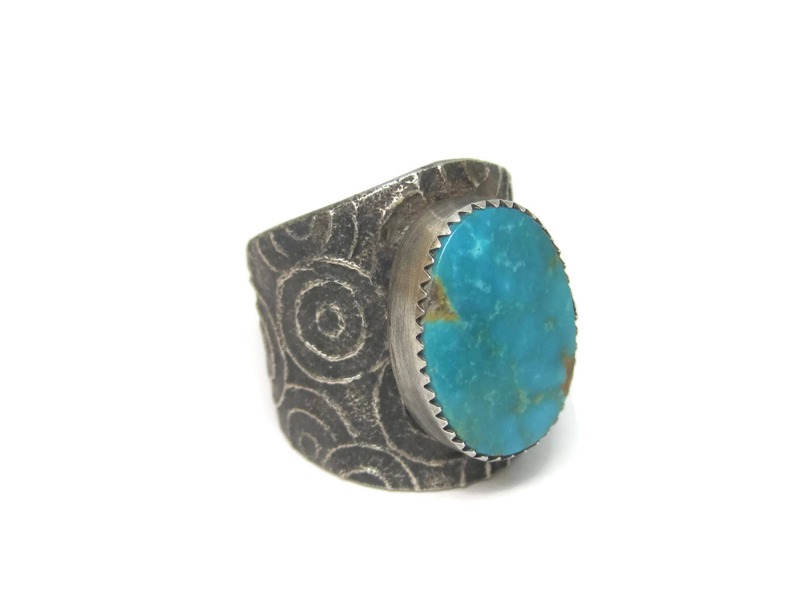 It features a 20x14mm natural turquoise. 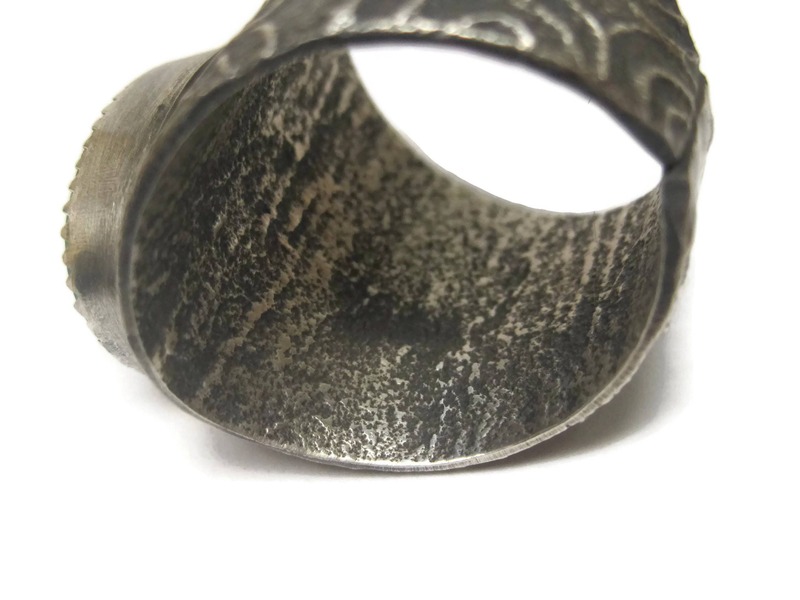 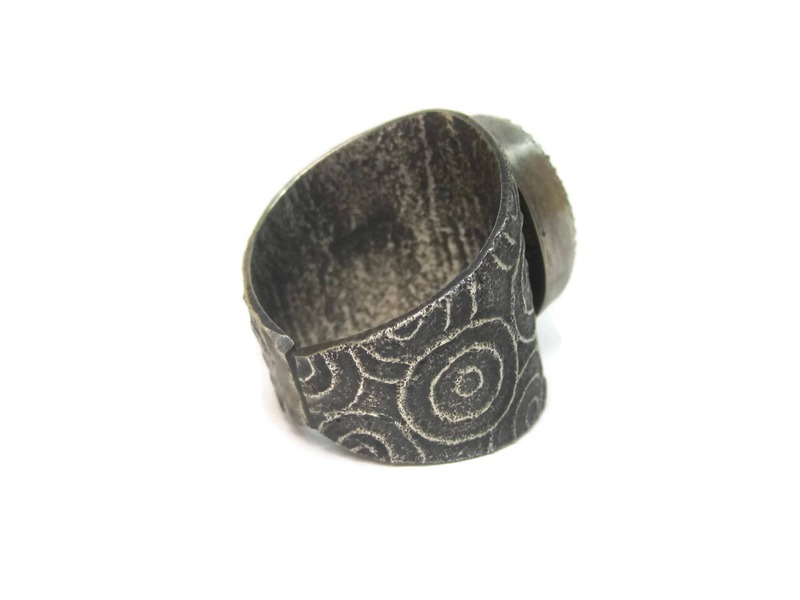 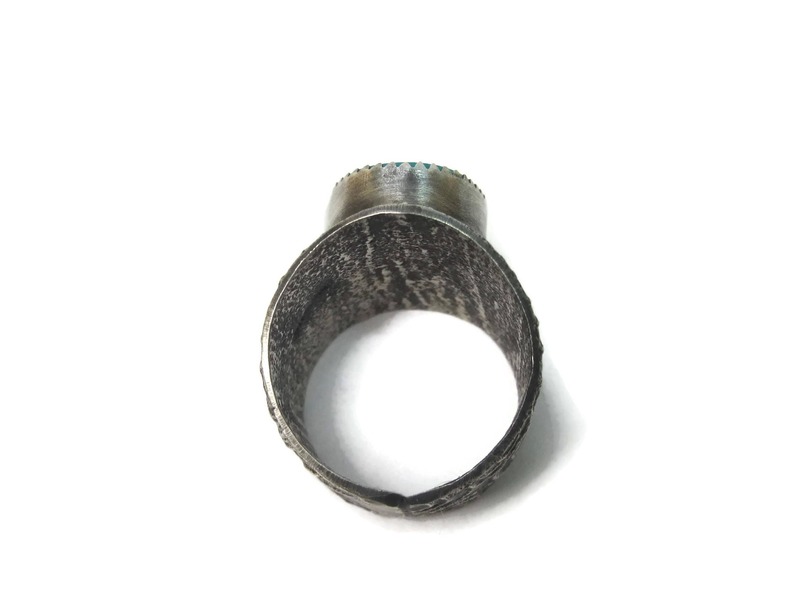 The face of this ring measures 1 inch and tapers down to 3/8 of an inch.